First of all, Happy Easter everyone! 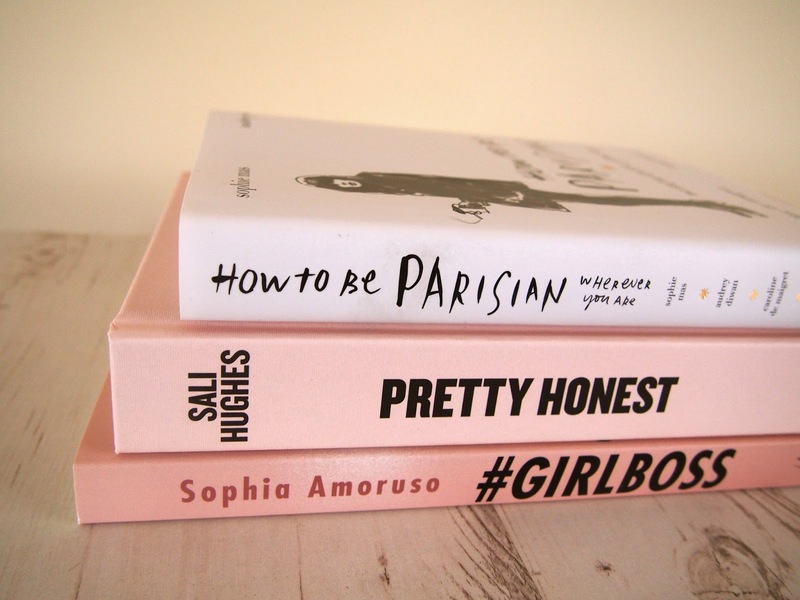 For this months mustreads I decided to combine last months book #GIRLBOSS with Aprils selections Pretty Honest and How to be Parisian. These three books pretty much blew up the blogosphere when they came out and I can gladly say that I can see why. I'm off to good start this year with 5 books already finished, so at least one of my new years resolutions is being fulfilled (if you'd like to know the rest, check out this post). In general, I've found reading these books so much fun, they're enjoyable, honest and actually really helpful. This non-fiction bundle has really made a difference to my life! For those of you who don't know Sali Hughes, the author of this perfect beauty guide Pretty Honest, she's an award winning journalist, writer and editor, currently writing for the guardian in the beauty department and can offer a wealth of knowledge on all things beauty related. I've never really bought into beauty books because they tend to be brand driven, like the Neal's Yard one, which means any product they recommend will be theirs and no one else's. Sali on the other hand recommends a wide range of different brands within each category of beauty products. You'll always find something within your price bracket and once Sali's recommend it, it's as good as perfect for you. Pretty Honest breaks down everything from skincare and makeup to waxing and cosmetic surgery/botox. 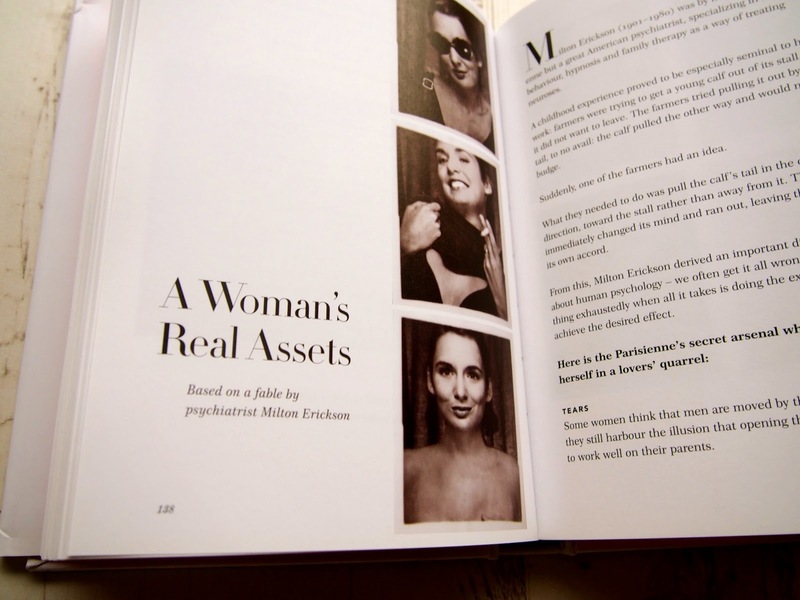 She has chapters on teen beauty and mature beauty, which makes this book so universal for all. As well as some stellar beauty advice, she also touches on careers in beauty, icons of the industry and the proper salon etiquette if you're knew to the salon experience. 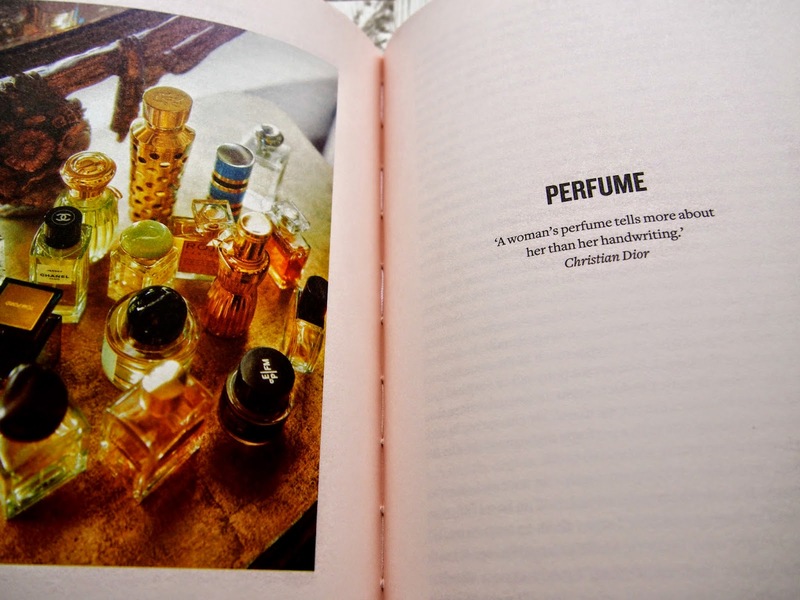 She even touches on 'how to pay and receive complements'; a witty chapter that is definitely worth considering. 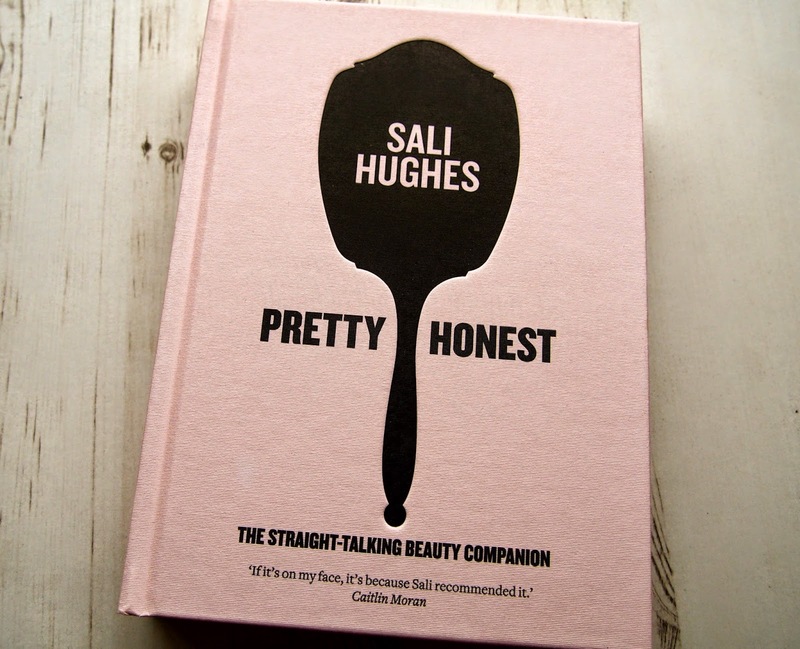 What I love about Pretty Honest is how it's become my beauty companion; it's not a book you can read once and put on a shelf full of read books, its a keeper and one that you'll find yourself constantly referring back to day after day. I don't think I can say the words 'if you're looking for something that....' etc, because there's nothing like this out there and its a resource that is unmistakably a woman's must have bed side/handbag/coffee table/dressing table guide that has become an essential in my life. You can get your hands on a copy here, if you haven't already! 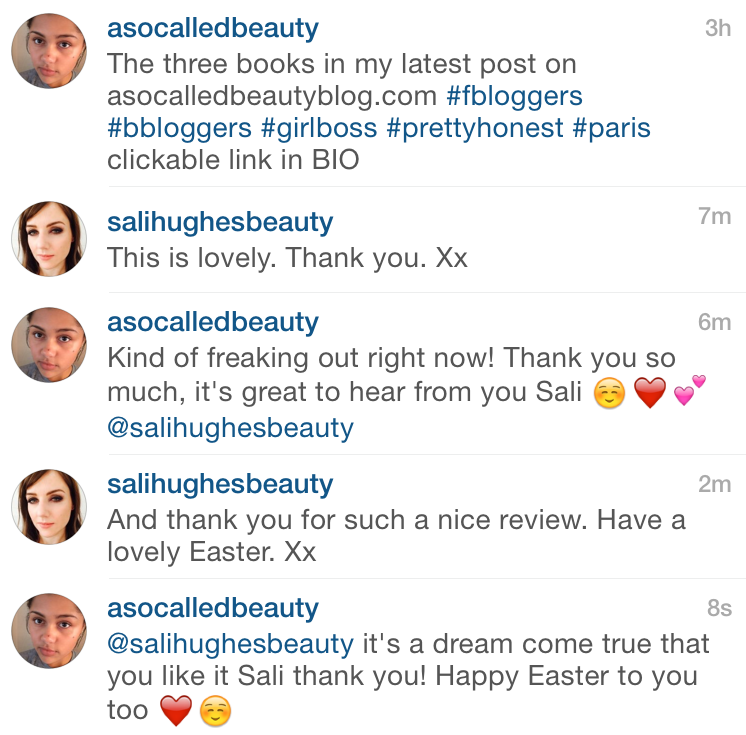 If you follow me on Instagram then you may have seen that Sali Hughes actually liked and commented on my picture featuring her book and then went on to read my review on this post! As you can see I tried not to sound too fangirly even though deep down I was freaking out that she'd actually read my post and liked what I'd said about her marvellous new book. I still can't quite believe it, isn't she just wonderful! How do I describe a book that's basically perfect in every way and fulfils its exact purpose seamlessly with utter satisfaction? 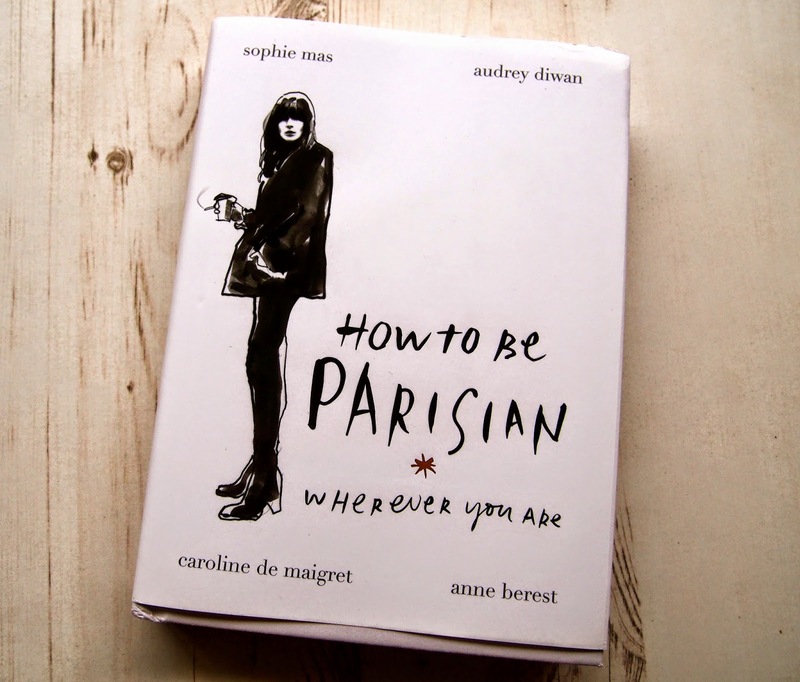 Well I'm going to try with difficulty; How to be Parisian (wherever you are) is a modern guide book on what it takes to embody the classic Parisian woman and the lifestyle choices one makes when filling those shoes. This is a highly entertaining take on the worlds fixation with the utterly chic, always elegant and slim women of Paris. If you've been reading my blog for a while now, then you'll know that I want to live in Paris once I've finished my studies because I'm in love with the city and everything about it. Everything down to the wacky graffiti. Despite the rough and tumble some French people experience, it always seems to be the Parisian women who remain, well Parisian. 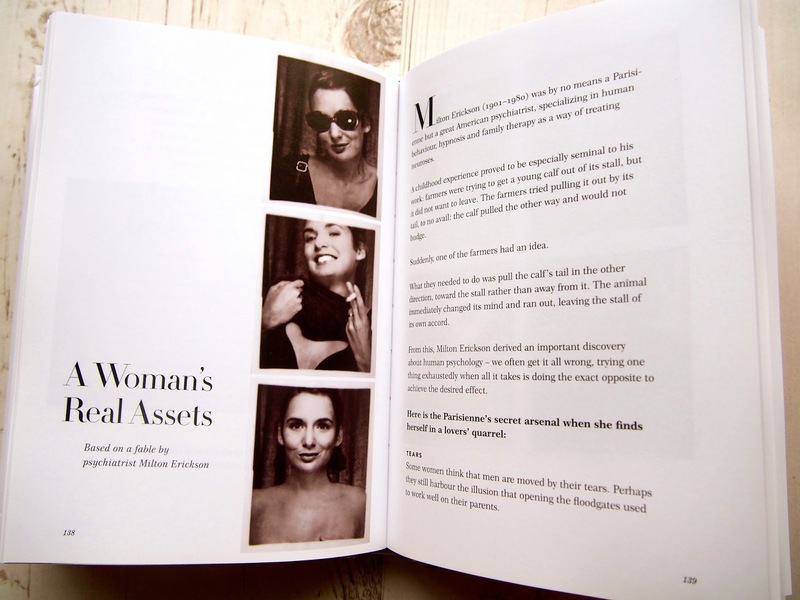 The four authors, Anne Berest, Audrey Diwan, Caroline de Maigret and Sophie Mas, have created a sophisticated and witty book on their views of 'style, culture, attitude and men' as well as the misnomers that come with the Parisian woman's lifestyle. There's no doubt that the life of a typical Parisian woman has changed since say the 1800's; in the 21st we have the Gym, a vast expanse of technology, new ways to meet people and of course new fashion. This book offers a modern twist on every day trivialities and fashion choices, to insight on family and how to conduct oneself. This book is not a step by step instructions manual on how to be a Parisian, its much more than that; it breaks down the walls between us and them by highlighting our misconceptions of the classic Parisian woman and delving into the complexities of that life. How to be Parisian will entertain, guide and enlighten you no matter who you are. If you have a particular affinity towards Paris, or France in general, and feel your life needs a touch of Parisian then this book is most certainly tailor made for you, you simply can't miss out. Get How to be Parisian here. 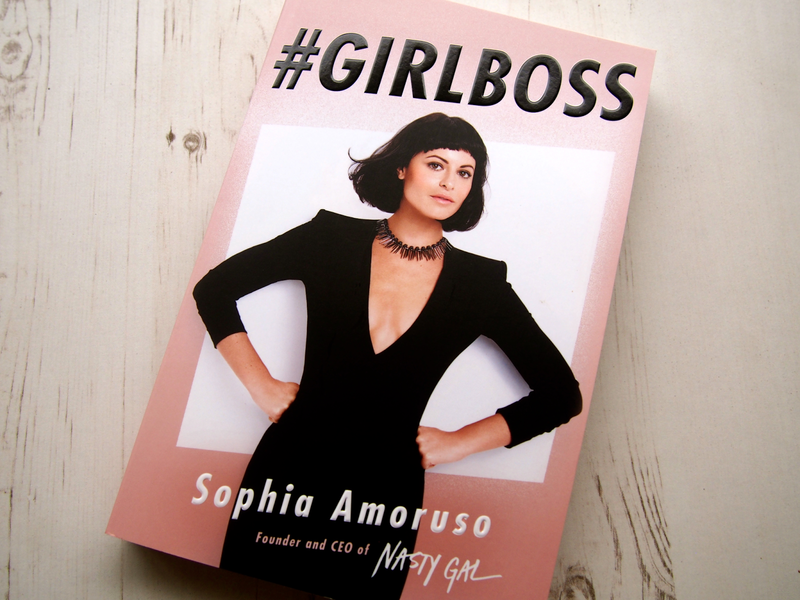 Along with last months book by Lena Dunham 'Not That kind of Girl', #GIRLBOSS is part of a new wave of feminist readings that younger women are loving. I absolutely idolise Sophia Amoruso; not only is she the founder of a brand I love, but she's come from nothing to being the creator of a multimillion dollar business. She is an inspiration and her book simply tells her tale and helps others learn the keys to being your own boss, making something of yourself in a world surrounded by successful men. Again this book is not a guide on how to be a successful fashion brand executive or how to get away with dropping out of college but still make something of yourself; Sophia outlines important life lessons that women can learn from the business world and doesn't beat around the bush when it comes to the realities of life in the big wide world. Sophia helps you understand the importance of reaching for your goals and being cunning in life; she ultimately teaches you to trust your instincts and be yourself, that's an important message that I love. Looking for some life lessons, inspiration and a bit of a laugh? 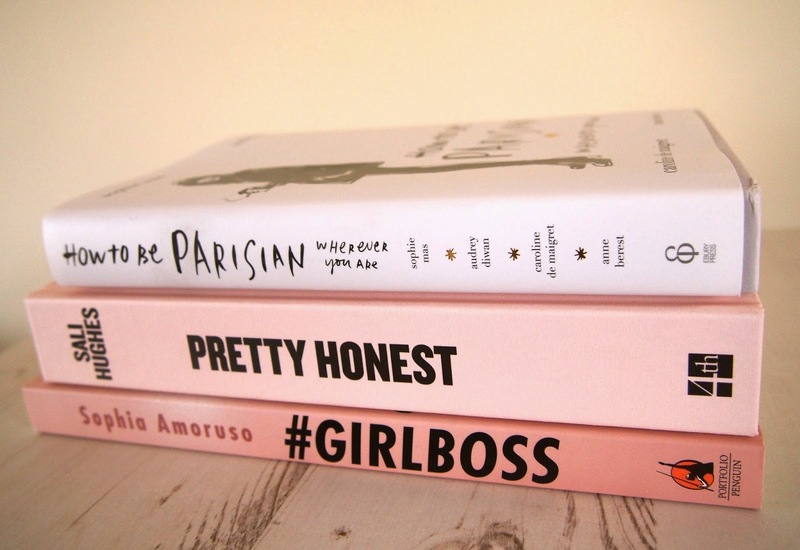 Read #GIRLBOSS which you can get here. Have you read any of this months mustreads? What did you think?